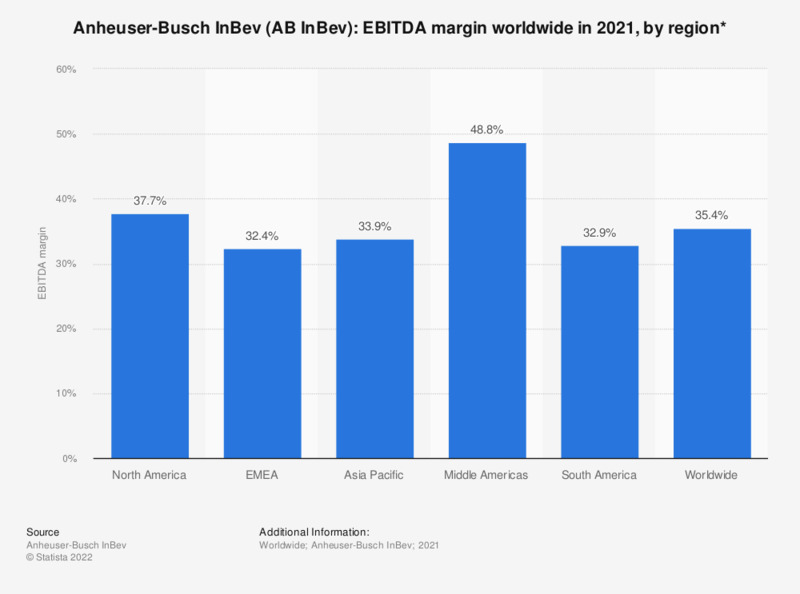 This statistic shows a regional breakdown of the earnings before interest, taxes, depreciation and amortization (EBITDA) of Anheuser-Busch InBev in 2018, by region. In that year, North America accounted for approximately 40 percent of Anheuser-Busch InBev's total EBITDA. * Excludes global export and holding companies.